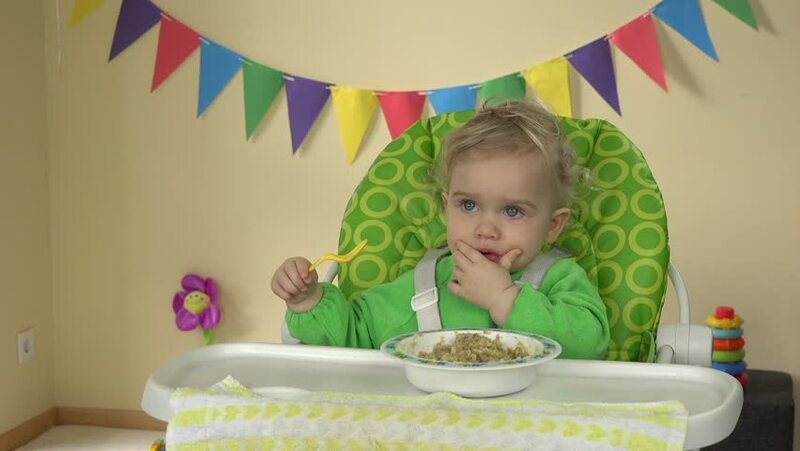 Funny toddler girl eat mash with spoon and hands sitting in baby feeding chair. Static closeup shot. 4k00:13Hungry baby girl with spoon sits at feeding chair and eats porridge from plate with spoon. Mash fall from mouth. Static closeup shot. 4k00:14One year old baby eating porridge with messy face. Adorable toddler girl sitting in highchair having breakfast from bowl with spoon. Static closeup shot. 4k00:16Funny girl eat porridge with spoon and hands sitting in baby feeding chair. 4k00:13baby child sitting in chair with a spoon and eating delicious child food from bowl. Static closeup shot. 4k00:13baby sitting in high chair with spoon and plate and toys waiting for eating baby in room. Static closeup shot. 4k00:26Baby girl sitting on sofa playing toys, child play pyramid tower, little kid early education concept. Static closeup shot. 4k00:16Electrician man explain for housewife woman with small child on hands how to use circuit breaker box cutout. Static shot. hd00:10Mother woman with newborn baby on her hands pick up dry laundry at home. Wide angle shot. 4k00:10Father man play with toy guitar and happy toddler daughter girl dance at home. Static shot.